With a Community Bank Mastercard® Debit Card, you have access to your money through a world-wide network that accept Mastercard®. The debit card enables you to make purchases anywhere Mastercard® is accepted, and deducts the amount spent from the money already in your Community Bank account. There are no bills that come later for purchases made with your card, as you would receive with a credit card. 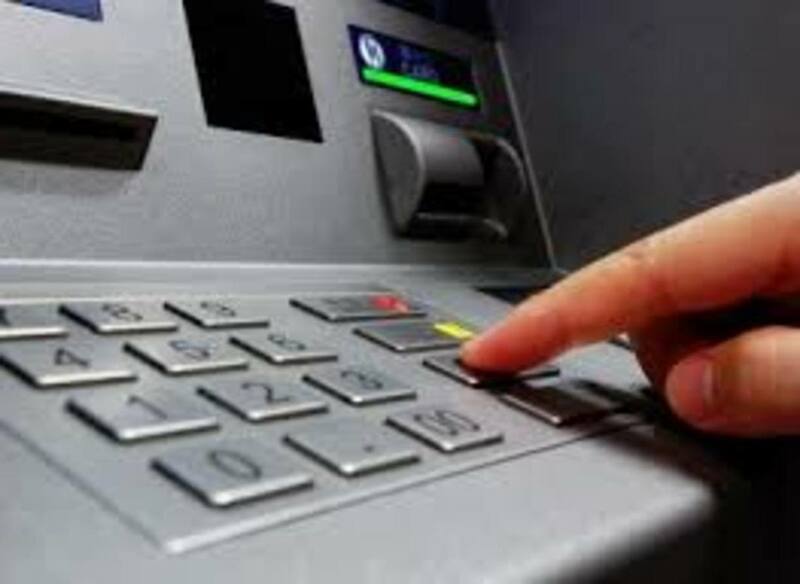 You only need your PIN number to make a withdrawal, deposit, transfer or balance inquiry at an ATM, or to make a purchase at a POS (point-of-sale) terminal. The ATM/Debit cards we issue are protected by FraudWatch® PLUS. If suspicious activity is noticed on your ATM/Debit card, Fraud Prevention Services will call to notify you. If you are planning to travel and anticipate using your Community Bank Debit Card, please let us know by calling 888-223-8099 Monday through Friday from 8:00 to 5:00pm or by contacting your local Community Bank office. We can put your card on a special status so your card use is not interrupted. Again, it is important you have an alternative method of payment when you travel (Travelers Checks, credit card) for emergency situations and that contact information is up to date and on file at the bank so that we may contact you when necessary. When you use your debit card to prepay for fuel at a fueling station, an initial funds hold may be placed on a portion of the balance in your primary checking account. This hold is required because it is uncertain to the fueling station operator of your fuel sales total when you begin your transaction. The dollar amount of the funds hold and length of time the hold remains on your account may vary but is generally no more than $100.00 and for a period of up to 3 business days. A hold on these funds means that we will not use those funds to pay checks that you have written or complete other debit card and electronic transactions that may be presented for payment during this time. Community Bank is one of the regional banks that have joined together to form the FREEDOM ATM ALLIANCE. The goal of the Alliance is to provide surcharge-free ATM alternatives to our customers. Banks entering the Alliance agree not to surcharge the customers of any other Alliance member at their ATMs. With Community Bank as a FREEDOM ATM ALLIANCE member, you gain a surcharge-free ATM network! The Alliance reaches over 50 counties, extending north into New York, south into Maryland and west into Ohio, with a majority of the ATMs located in southwestern Pennsylvania. Ask any Community Bank Customer Service Representative for a current listing of participating financial institutions in the Freedom Alliance or check out the network web site at www.freedomatm.com. Please note: Other transaction fees for ATM usage may apply. Refer to the current schedule of fees. 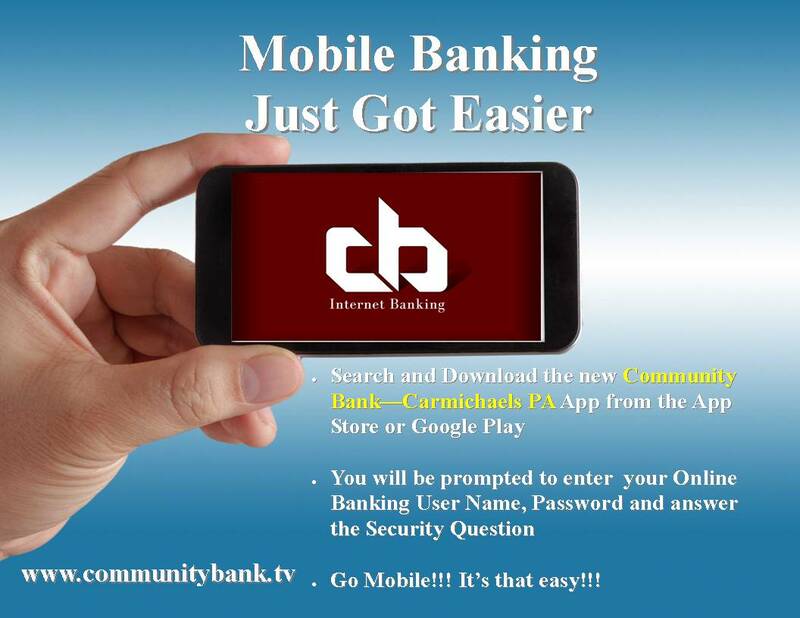 ** Internet Banking will now work with Apple iPads and iPhones on iOS 8 and later with the built in Safari browser. It’s no longer necessary for the user to download Google Chrome for access. You have certain rights and responsibilities related to your Access and Password. For complete details: Contact Customer Service or click here to enroll now. Sending money to anyone is as easy as sending an email or text. Popmoney is a new feature within Consumer Online Banking that lets you send and receive personal electronic payments to and from virtually anyone, using email and text messages. • Send a gift—you can even personalize your message! Below is a schedule of services and any fess as applicable to the transaction type selected by the User.